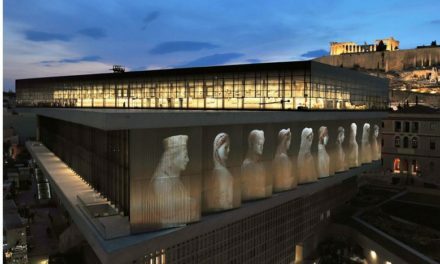 OpenWalkAthens (OWA) : an open promenade that invites Athenians to experience aspects of the city, its history and its people. 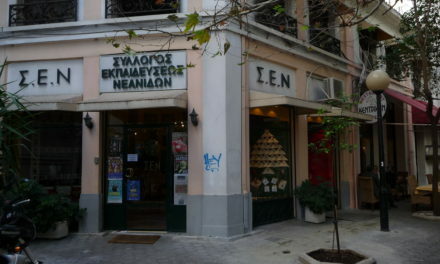 This is the 4th Open Walk Athens, and this one highlights all of those ‘little museums’ that you may pass by on a daily basis but didn’t even know existed! So, this Sunday, November 2 from 11 am to 4 pm, 18 museums will open their doors and lead us to their treasures. 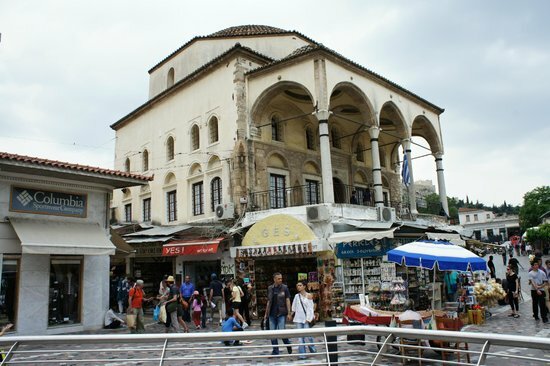 Included are historic sites like the Mosque in Monastiraki, and freshly opened places like the Museum of Greek Gastronomy in Psyrri, take a ride on an authentic Athenian neighborhood in the mid-20th century, learn firsthand about life on the islands political exiles. An open conversation with mathematicians, historians, artists, artisans, folklorists, play with interactive exhibits, the Jewish religion and traditions, how to make the famous figure of Shadows.Forgotten watermills, unique jewelry, rare minerals, ceramics, fine textiles, manuscripts, paintings, musical instruments, paintings and three-dimensional works of children, rare scientific instruments and the banner of the first University of Greece waiting for you to discover different worlds. And all these old mansions, neoclassical buildings with ornate ceilings, stairs and twisted hidden courtyards in the heart of Athens! Pick up a map from any of the 18 museums. Olo the OWA4 on your mobile. Text and map via the free application Clio Muse . Please install now available versions for Android and iPhone . Children’s activities will be held on the day of the walk, they will be 20-minutes long for children between 14.00-16.00 and 14.00- – specifically at 14.20, 14.30-14.50, 15.00-15.20 and 15.30-15.50. Walkers will have the opportunity to be guided by the artist’s granddaughter. The tours will take place at 11.00 and 15.00. Duration of tour: approximately 30 minutes. Finally there will be a 20% discount on all items in the museum shop.
. ••• On the day of the walk the museum will present periodic report “Jugs from around the Greece “and will display the video on the art of pottery. Guests of OWA will have 10% discount in ceramics shop. ••• On the day of the walk will be held at 11.00 am tour of the museum. In addition, there will be a 15% discount in gift shop. The Day of OWA, Mr. Spiliotis and two other members of the Board will host a tour and talk with visitors at 12.00. If participants are numerous, and will become second tour later. On the day of the walk will be “running” the exhibition “Last mill in Athens- Windmill Mets “and will display the 20 minute movie Amalia Triantopoulou” Greek watermill. ” In addition, scheduled two official tours at 12.00 and at 13.00 (if large public turnout is possible more tours). Finally, offer a 15% discount on Museum publications. On the day of the walk will be rotating in the showroom the math teachers who are implementing the program and welcome visitors. Time 14:00 academics responsible Messrs Mavrommatis and smear will inform parents and children about the interactive exhibits on mathematics. Also, there will be a 10% discount in the Museum shop for walkers. On the day of the walk himself Mr. Charidimos will talk about the exhibits and show how the site was built (12.00 to 13.00). 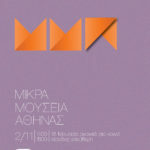 There will also be a tour of the top floor of the museum in the exhibition “Journey to Old Athens” (13.30 to 14.30). How does a little girl from Skokie, Illinois find herself in historical Athens, leading curious explorers through the winding streets of Plaka, down "pezodromos" to hidden ouzeries for tempting mezedhes and homemade barrel wine? The journey began more than twenty years ago, and regardless of whether the wanderlust comes from the spiritual and culture DNA flowing through my veins, or the alignment of the stars on that cold mid-December day this Sagitterian came into the world, I never seem to tire of exploring my adopted homeland of Greece. Here you'll join me as I explore Athens: be it the back streets of Psirri and Gazi, or through the National Gardens and Zappeio where a family of turtles makes their home, or down wide, treelined Imittou Street in Pagrati, which pulses with Athenian life 24 hours a day. And while Athens has stolen my heart, the rest of Greece vies for my curiousity and wanderlust. My two guys (that'd be the Greek God, Vasilis and our Greek dog, Scruffy) and I can often be found settling in for a long weekend in some charming mountain village, or a quaint fishing port on a nearby island, or learning how Greek vitners are producing wines that rival some of Napa Valley's finests productions, or celebrating a panayeri in Epirus or sharing in the festivities as a family of Cretan sheepherders come together to sheer their 1500 sheep in the spring ... And if you happen to find yourself heading to Athens, consider finding yourself a real home for your stay. Living amongst the locals, be it for 3 nights or 3 weeks, will offer you the chance to experience true Athens, beyond the Acropolis. Choose from one of our 5 beautiful penthouse and historical homes, and who knows, I may be leading you down that winding "pezodromo" to our favorite hidden ouzerie!